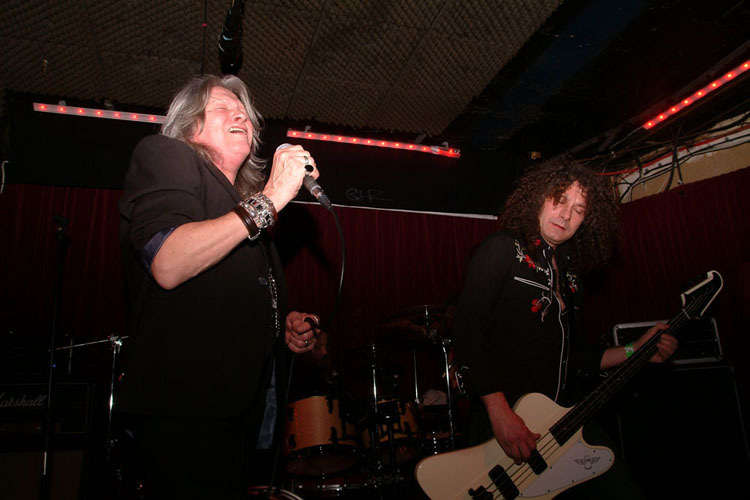 Share the post "Gig Review – PAUL RAYMOND PROJECT- The Borderline, London, 1 February 2013"
It’s always a pleasure when one of rock’s respected sidemen steps out of the shadows for their moment in the spotlight and few are more respected than Paul Raymond. 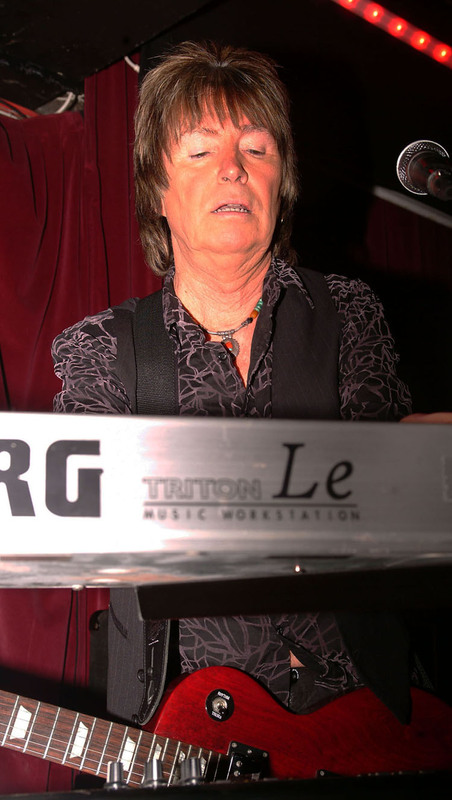 Best known for his keyboards giving an extra dimension to UFO’s sound in his lengthy on-off tenure with the band since 1977, I was aware his veteran career went back even longer than that, but before this evening the fact he had a parallel solo career now on its sixth album escaped me. A surprisingly full Borderline were warmed up by label mates, unashamed retro rockers Pig Iron, who themselves have been going now for over a decade and heavily showcased their new album ‘IV’. The band’s name fits the Trades Descriptions Act perfectly, their dark sludgy sound conjuring up images the earliest days of heavy rock forged in West Midlands foundries. 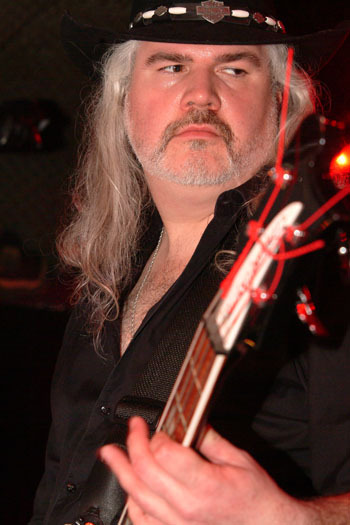 Early Black Sabbath is the most obvious reference point, but I found myself drawn to comparisons with blues rockers of the period like Canned Heat and Taste, partly because frontman Johnny Ogle not only added a fresh dimension with his harmonica playing, but had a very Gallagher-esque way of introducing each song with a modest ‘hope you like it’. 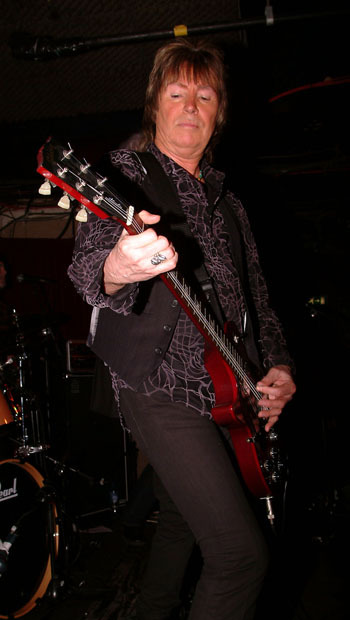 For this gig Paul Raymond had enlisted Stampede front man Reuben Archer and guitarist Rob Woolverson, together with some younger long-haired musicians, a sound move as Stampede’s own sound was heavily influenced by UFO. Nevertheless my jaw nearly hit the floor when they opened with Just Another Suicide, the second cut from Lights Out yet rarely, if ever, played live and hence a neglected masterpiece. 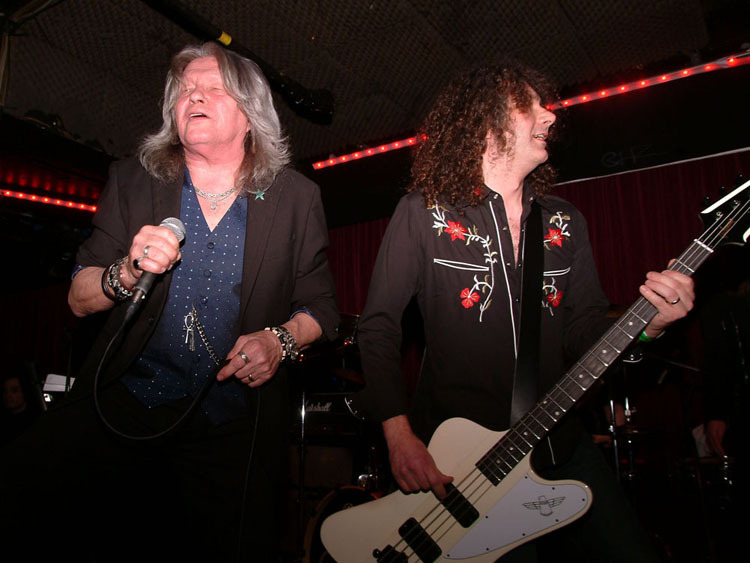 Paul’s electric piano and Rob’s best Schenker impressions enlivened the song, even though Reuben was clearly struggling with a winter ‘lurgy’, which fortunately he came to terms with as the set went on. In his feather cut that has remained unchanged for 35 years, Paul effortlessly switched between his bank of keyboards and rhythm guitar, giving the lie to the unfair accusation that men cannot multi- task, and gave the big grin of a man enjoying being king for a day. In particular his banter with Reuben was a delight, the talk of comparing bus passes and pension books only partly tongue in cheek as the two came over as heavy rock’s answer to Walter Matthau and Jack Lemmon. Knowing none of his solo material, much of it was of such quality that I wondered why he so rarely has a songwriting credit with UFO. 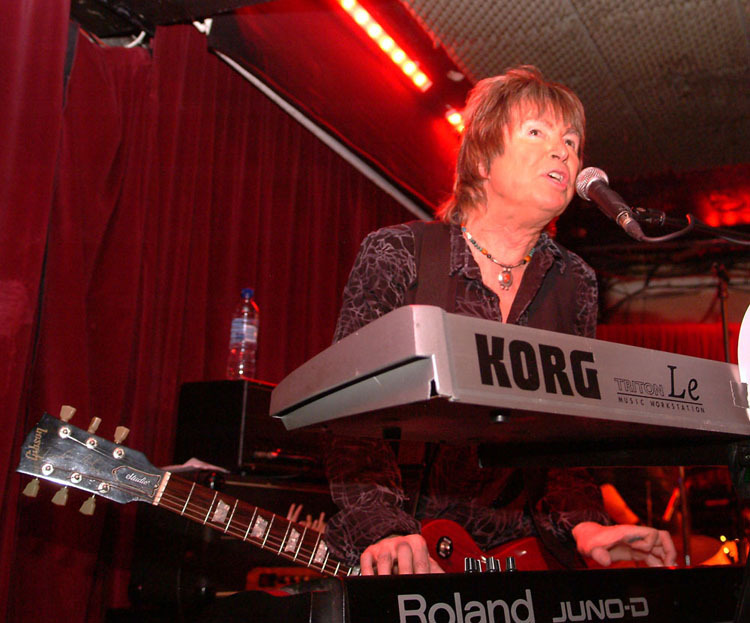 Born and Raised on Rock n Roll and C List Celebrity were highly enjoyable, while from the Man on the Mission album, Can’t Let Go had a chorus and the title track reminded me of Foreigner or Joe Lynn Turner-era Rainbow. 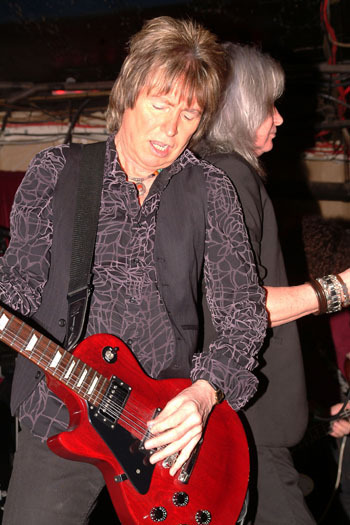 Paul also got to sing on what was to me an unfamiliar but impressive, song, from his Savoy Brown days, Hero to Zero. Of course the preponderance of bulging torsos squeezed into old UFO t-shirts, mine included, told you what many of the crowd were there for, and he obliged with a sprinkling of UFO songs throughout the set. Out On The Street was another showcase for his keyboard playing and the band perfectly pulled off the dynamic way the song changes tempo throughout; Take It Or Leave It, which he wrote for 1980’s No Place to Run, was another rare treat with Reuben and Rob doing this great ballad justice, and of course an epic Love To Love with Rob having the confidence to improvise around the original closing solo. They closed with the title track from the new ‘Terms and Conditions Apply’ album, a satire on the financial crisis set to a laid back, slightly funky feel, but it worked superbly. There was not even time to leave the stage before an encore, which Paul admitted he didn’t write but had been a big part of his life, and we all knew he was about to play the famous keyboard intro to Doctor Doctor, which had the whole place rocking, just as at a UFO show, but frankly more enjoyable in this intimate environment. This was my first gig of 2013, but I wager that there won’t be many that give me such a warm glow of enjoyment. 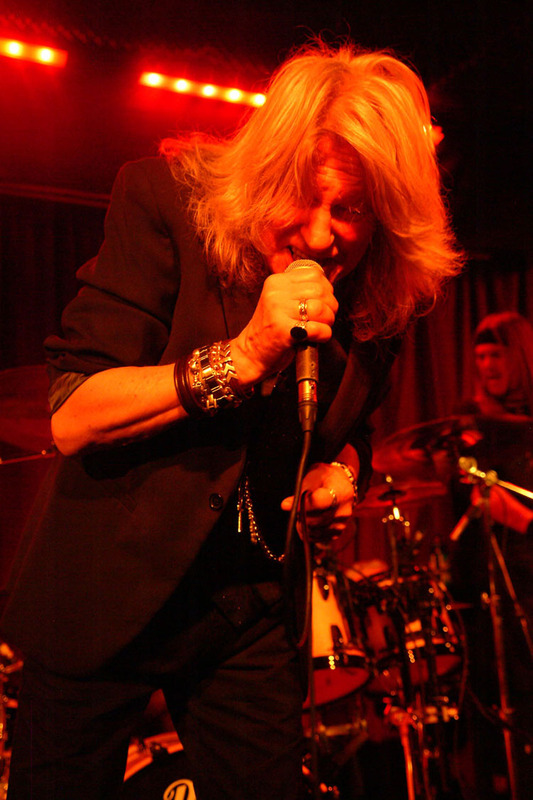 A night for seasoned rockers at London’s Borderline and finally a gig where I can feel young again! 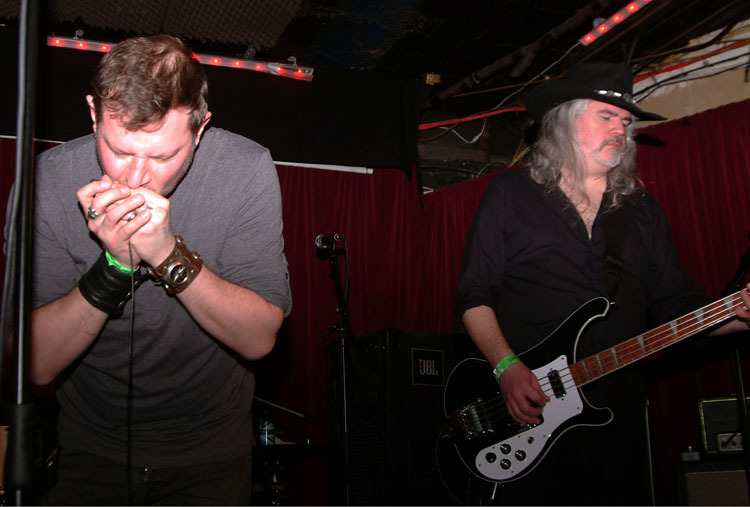 Pig Iron opened up proceedings with a high quality dose of heavy blues rock administered with enthusiasm and verve. ‘Ruler of Tomorrow’ from their first album rattled along and ‘Hellacious Days’ boasted a solid blues spine, lumbering bass and searing harmonica break. The band saved their best til nearer the end of the set when the venue had filled up a bit. Their fine album, ‘IV’ released in December came to the fore with tracks like ‘Diggin In The Well’ and ‘Low Grade Man’ welding their solid grasp of blues to thunderous riffs and catchy vocal hooks. Support slots at small venues in front of thin crowds are always tricky, but Pig Iron went about their business professionally, despite a couple of early set gremlins. Guitarist Dan Edwards chucked in some rock ‘n’ roll shapes straight out of the Billy Duffy portrait album: legs akimbo, swinging Gibson and swirling hair. And for a moment I thought Lemmy had pitched up stage left. 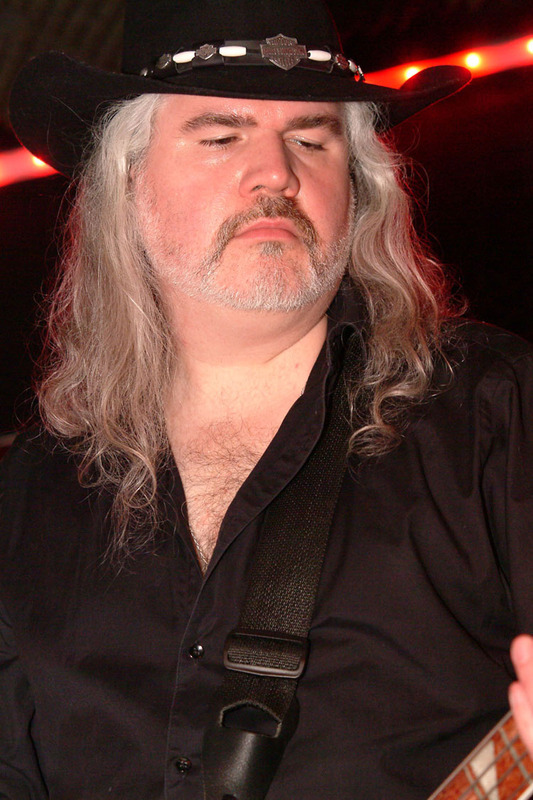 Hugh Gilmour was pummeling a Rickenbacker bass behind a big ole droopy moustache and under a giant cowboy hat. Only the grey locks gave the game away. A rollicking good set, a band I want to catch again and perfect way to kick start the evening. This was billed as the launch party for the Paul Raymond Project’s very good new album ‘Terms and Conditions Apply’ This sometime side-band for the UFO keys man did indeed infect the gig with a contagious and informal party air. Although it wasn’t all foot perfect. ‘Just Another Suicide’ as set opener was almost genius. 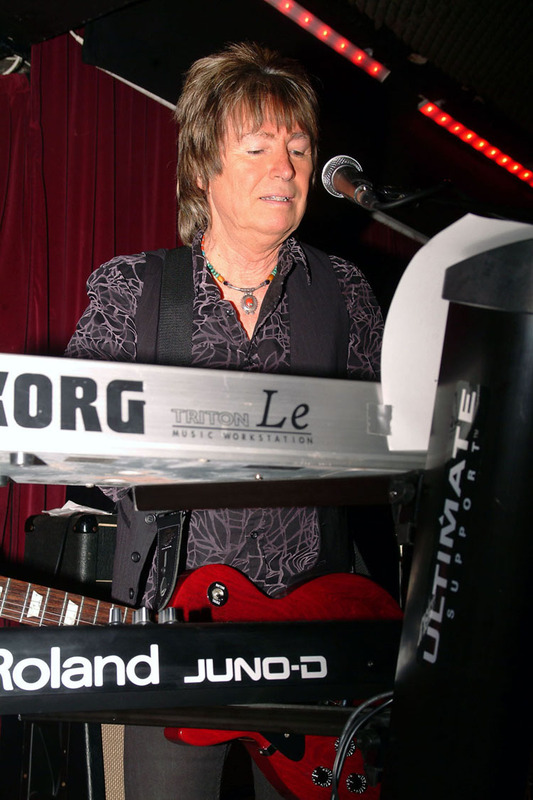 This brilliant track was written by Paul Raymond when he first joined UFO for the ‘Lights Out’ album but was not credited because of some bizarre legal wrangle with his previous band, Savoy Brown. However, the track is a melodic and intricate piece and in a couple of places found out this scratch band where they sounded a tad sloppy. 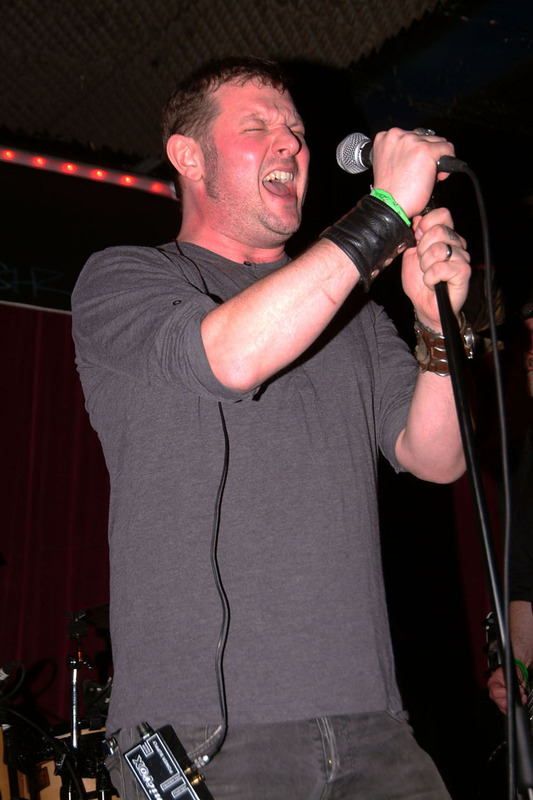 In particular, front man Reuben Archer from Stampede simply couldn’t wrap his sore tonsils around the vocal melody. But fear not. By the end of the track they had sorted themselves out and we were treated to a blistering, caterwauling, distinctly metal guitar solo climax that had the hairs on my neck standing up. There is nothing like that on the original. ‘Born and Raised on Rock n Roll’ followed from the new platter and saw the band finding their stride with some thrilling guitar harmonies. Raymond was clearly enjoying himself and displayed plenty of humour. “King for a day”, he declared. “Back to the day job on Monday!” in reference to his role with UFO. There was a surprising number of UFO tunes, and not always the obvious ones. ‘Out In The Street’ was strong and there was a gorgeous rendition of ‘Take It Or Leave It’, described by Raymond as “a “lovely tune”. It was delivered in a reworked style and augmented by a stunning solo from Stampede’s Rob Wolverson. 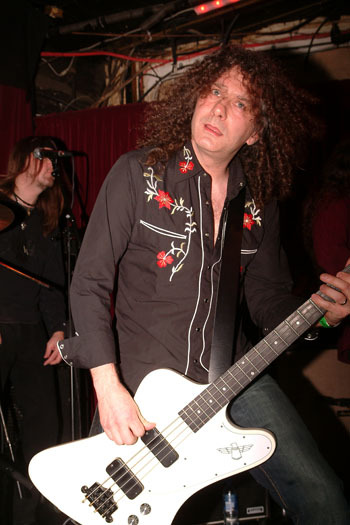 Rob was brilliant all night, dealing particularly respectfully with the Schenker material but simultaneously stamping his own class over everything he played. Reuben Archer’s patchy delivery was sadly a theme throughout the set. He complained on a couple of occasions of a sore throat. There was a backing singer wedged between the drums and the Marshall stack, looking a bit awkward: tapping his feet, playing a bit of air guitar. But there was no doubting his value. With Reuben’s chords a bit rough, he and Raymond added some depth and quality to the vocals. 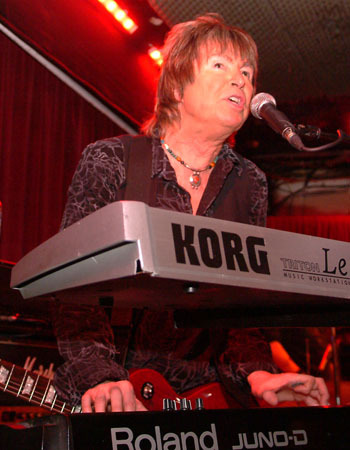 Raymond took the lead on only one track, ‘Hero to Zero’ from his Savoy Brown days, where the voice seemed strong and it’s a shame he didn’t do so more often. The set was thoughtfully put together and dipped into Paul Raymond’s high quality back catalogue. 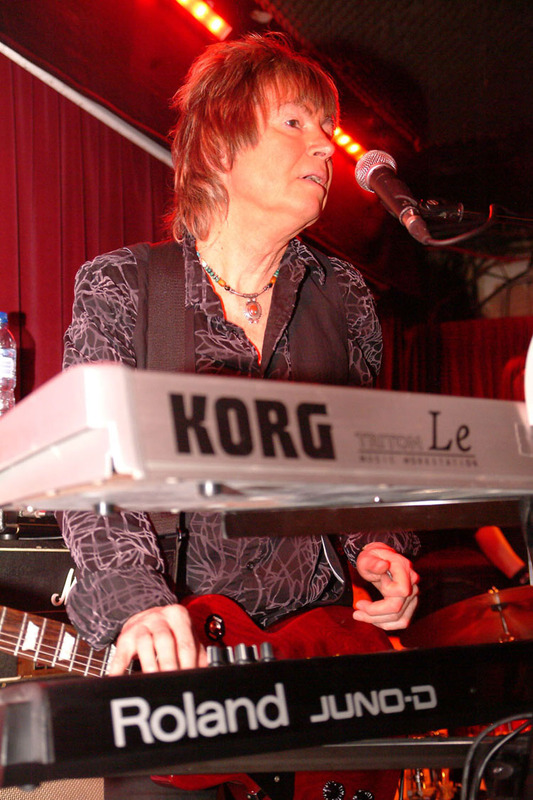 Two tracks were played from the ‘Man On A Mission’ album, as well as the aforementioned Savoy Brown song. The new material stood up very well. ‘C-List Celebrity’ and ‘Terms and Conditions’ were excellent slabs of melodic, hook-laced hard rock and well-penned lyrics. ‘Love To Love’ went down a storm with the crowd able to help Reuben out on the vocals and Wolverson again nailing this classic. The gig ended by Paul introducing ‘Doctor Doctor’ with a self effacing “we probably shouldn’t play this as I didn’t write it, but I’ve been associated with it for 35 years”. Too right Mr Raymond. 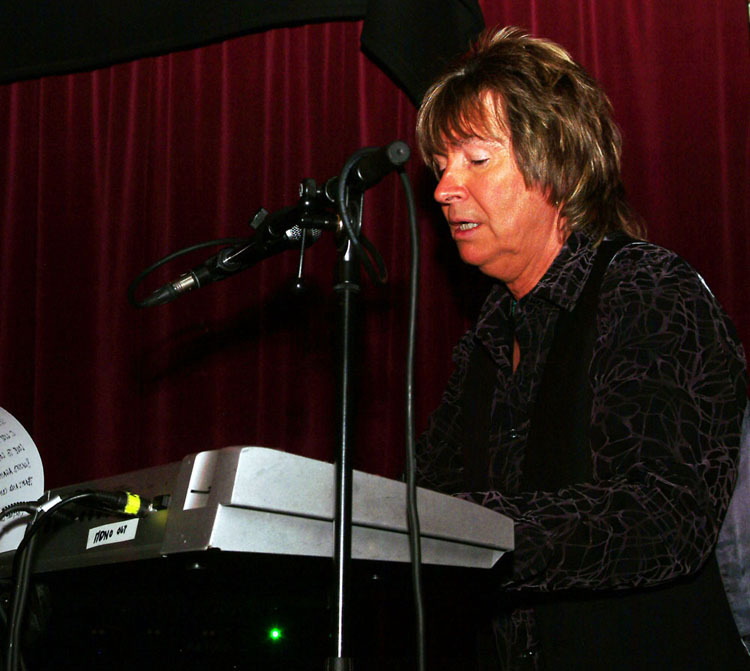 He gave the track a sumptuous keyboard intro before the band delivered a faultless, unmitigated crowd pleaser. A great gig. This was a band really enjoying themselves and that was transmitted to a crowd fulsome and enthusiastic in its appreciation. This entry was posted in All Posts, GIG REVIEWS and tagged Andy Nathan, Paul Raymond, Reuben Archer, Savoy Brown, Stampede, UFO. Bookmark the permalink.